To get a glimpse of the Show Me State's resourceful nature, just look at its people. Missouri's workforce boasts a work ethic and high level of skill that can only be found in the American Midwest. Home to more than 3 million workers, the state's talent pool runs deep and draws from a network of 13 public four-year universities, 14 public two-year colleges, 24 independent colleges, 11 specialized and technical colleges, 17 theological institutions and more than 150 proprietary and private career schools. Missouri's Department of Higher Education has set a goal officially known as Missouri's Big Goal for Higher Education — for 60 percent of the state's adult workers to have earned a certificate or degree by 2025. And the state has made great strides toward that goal. In 2014, 38 percent of Missourians had an associate or bachelor's degree, when professional certificate holders were factored in the percentage jumped to more than 50 percent. Additionally, more than 87 percent of the state's workers have earned at least a high school diploma, making the state one of the top ten in the nation. In an effort to streamline the state's workforce development efforts, Missouri launched several new initiatives in 2017. The approach included reducing red tape, improving training opportunities for the state's workers and encouraging small businesses to open shop. Another key initiative involved overhauling the state's workforce development efforts. Rob Dixon, director of Missouri Department of Economic Development, says the state's previous workforce development efforts were spread out across several agencies, making it difficult for companies to navigate. "So, we developed an approach that puts our customers and end users first and foremost and brought together all of our workforce development efforts under one umbrella that we call Skilled Workforce Missouri." Through Skilled Workforce Missouri, companies find a streamlined approach to accessing training that helps employees get up to speed as companies introduce new product lines, upgrade technology, make quality and productivity improvements, or expand in a new location. Leggett and Platt and 3M were the first companies to enroll in the program. Companies can also get personalized help with a Skilled Workforce Missouri project manager who will help with training, recruiting talent and any ongoing support the company needs to meet its goals. Skilled Workforce Missouri works with the state's community and technical colleges, state technical center and job centers and goes a step further by helping existing workers to "skill up" as a company's needs change. There are 32 Missouri Job centers and 57 Career Centers located across the state helping local companies with their talent needs. "These programs are totally flexible for companies," says Dixon. "The businesses have complete control over who does the training. That's a key innovation that we've really brought to this. 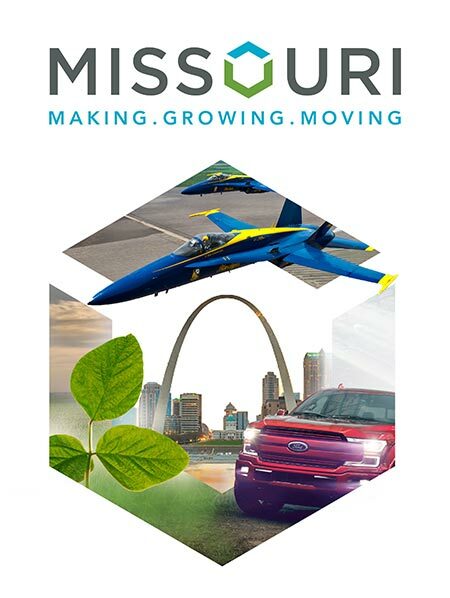 Whether it's our state's own workforce network or your company's own training experts — in house or third-party providers — or any combination of source that you're looking at, Skilled Workforce Missouri is going to provide some flexible options for funding to help offset that cost for job creation in Missouri."